Eps. 14 - April Heather talks about how migraines started her art journey + how friendships helped her along the way. 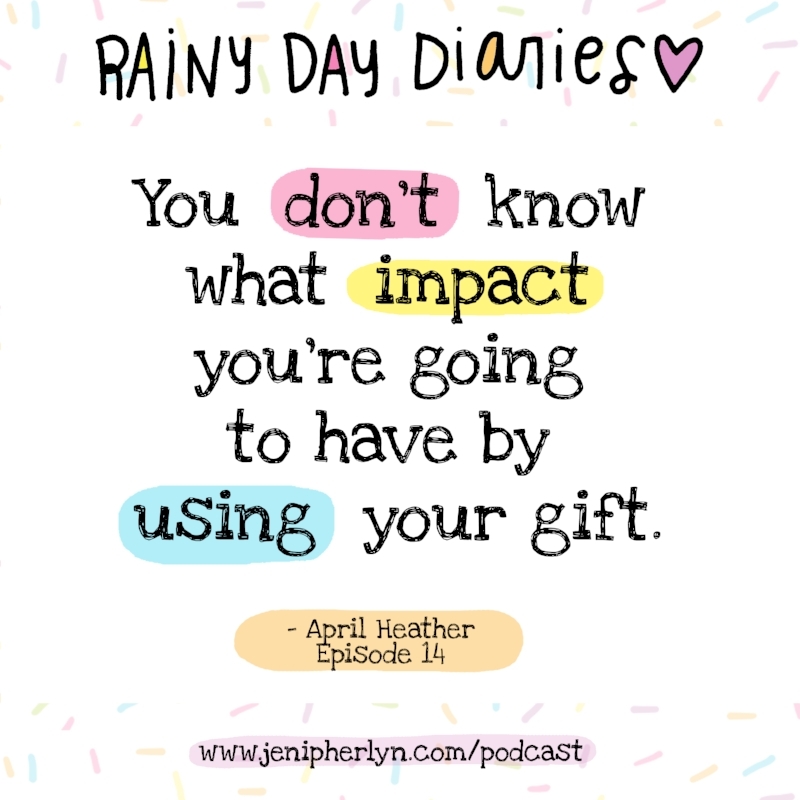 Today’s inspiring episode is with Heather Davulcu aka April Heather Art. We covered so many topics, from Friendship to Illness, and how art helped her cope with her pain she was feeling. We also chatted about how one bridesmaid card changed the course of her art career. Friendship was a big full circle of topic in this episode. We talked about learning how not only to make friends as a adolescent, but as an adult as well. I literally cried while editing this. I’m so inspired by Heather (and Alyssa from episode 3)’s bravery - they both got bulled and then both joined tons of groups to make friends, even though joining things and meeting new people is scary! PS: You can tell when I recorded this, it was almost Mother’s Day! Ha! But her women marching artwork is so amazing and still available!! - How completely debilitating migraines can be. - How painting through the pain of them led to a business venture. - How creating a Bridesmaid card line changed her art path. - The Dot - by Peter Reynolds.